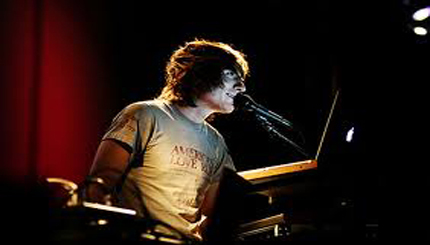 Owl City is a Second Wave synthpop musical project by American Adam Young. Young started out making music in his basement in his hometown of Owatonna, Minnesota, US, later developing a following through his MySpace profile before being signed to Universal Republic. Young's influences are disco and European electronic music. After two independent albums, Owl City gained mainstream popularity from the 2009 major label debut album Ocean Eyes, which spawned the hit single "Fireflies".